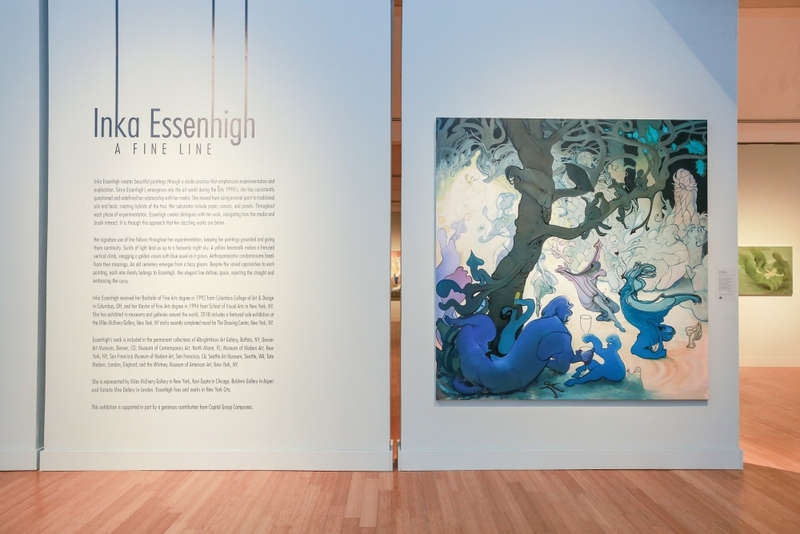 The Virginia Museum of Contemporary Art (MOCA) celebrates the opening of Inka Essenhigh: A Fine Line. Essenhigh gained national attention in the late 1990’s and is known for her experiments with enamel paint, traditional oils, and printmaking. Inspired by time spent in New York City and Maine, Essenhigh developed her signature use of line by practicing automatic drawing. Fantastical images of the everyday, both urban and rural, distinguish her work. Essenhigh’s large-format paintings will illuminate MOCA’s TowneBank Galleries with otherworldly expression. Ghosts and gods, monsters and maenads, carry Essenhigh’s portrayal of the 21st-century human from her brush into the viewer’s imagination. In conjunction with the exhibition, MOCA will publish Inka Essenhigh’s first-ever monograph. The book will include full-color images of Essenhigh’s work with writing by MOCA’s Heather Hakimzadeh and Alison Byrne, an interview with former MOCA exhibiting artist Ryan McGuiness and Inka Essenhigh, and an essay by Matthew Weinstein. “We are excited to share Inka Essenhigh’s art with our communities in Hampton Roads, as well as guests visiting Virginia Beach. 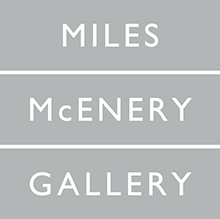 A Fine Line was entirely conceived of by MOCA’s exhibitions team and curated by MOCA Curator, Heather Hakimzadeh. The exhibition will travel to the Kalamazoo Institute of Arts in Michigan and other U.S. museums after it closes at MOCA,” comments Director of Exhibitions and Education, Alison Byrne. For more information, visit VirginiaMOCA.org. Inka Essenhigh: A Fine Line continues at the Virginia Museum of Contemporary Art (2200 Parks Ave, Virginia Beach, Virginia) through August 19, 2018.